Domaining (business of buying and selling domains names) is a lucrative online job these days. 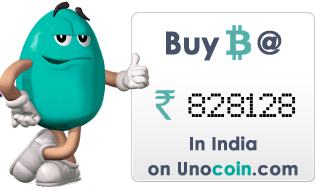 If you have time and interest in domaining then you can choose this online business to make big fortune. Domain selling is simply the process of getting cheap domain name and then selling it for profit. However, it is not as easy as it sounds. Many domain sellers don't own their own domains. They prefer to sell domain names or related services through affiliate marketing instead of directly buying domain names in the marketplace and put them in market again for selling. They just promote and sell others' domain name through affiliate marketing and other programs and get commission. 'I keep myself in touch with latest domain-related news through daily newsletters of Domaining.com. A domain name is address of your website. There are three main parts of every domain name. One - host, two - SLD and third - TLD. The www part is called the host. The manikjoshi part is called the second level domain (SLD). The com part is called the top level domain (TLD). The Internet Corporation for Assigned Names and Numbers (ICANN) manages the top-level domain names. HOW TO GRAB QUALITY DOMAIN NAME? You can also use your creativity for finding cheap ($10-$40) (still unregistered) but quality domain name. You don’t need to buy already registered domain name (premium ones) every time at high cost. Just think about the current world affairs and make list of some key phrases which are being frequently used in media. Then search those key phrases (domain name) in any domain provider sites like godaddy.com, namecheap.com, etc. If it is available, you may grab it after getting idea of its “appraised price.” But you must consider the following factors while registering domain names (especially when you are registering domain for re-selling purpose). Domain name must be short i.e. it should be as short as possible. Try to keep it maximum 14 characters long. Avoid using hyphens (-) in your domain. Avoid using numbers in your domain. Always buy domain with .com TLDs. You can also opt for .org or .net TLDs. But .com is always the best. Typographical Errors or Misspellings, Etc. There are many sites where you can sell your domain name. 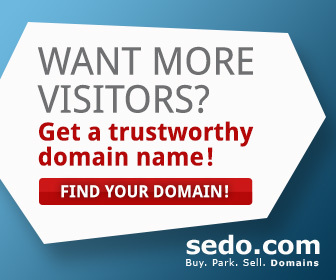 You can sell domain name at sedo.com, godaddy.com, etc. These sites provide you options for selling your domain at fixed price or at auctions. Auctions have a number of different ways to list your domain for sale including buy now, no reserve auction, reserve auction, buy now with a reserve auction, etc. You also have choice of putting ‘make offer’ tag with your domain and then interested buyer will contact you directly. Domain portfolios are a great way to get coverage for all your domains. You can use the portfolio link and send it to potential buyers. How much you could earn with domain selling could be gauged by the fact that many domains were purchased at $10 and then sold at $1,00,000 that too within a few months of registration. However it is not possible to sell every domain with such a huge profit. Only exceptionally good quality domain could fetch you such a huge amount. Anyway, generally you can make 10 to 100 times profit with your domain i.e buy domain name at $10 and sell it at $100 to $1000. Below is The List of Some Domains Which Have Been Sold at High Price.